MAKE SURE YOU CHECK OUT THE END OF THIS SAMPLE FOR AN EXCLUSIVE WATTPAD QUESTION AND ANSWER WITH THE AUTHOR! 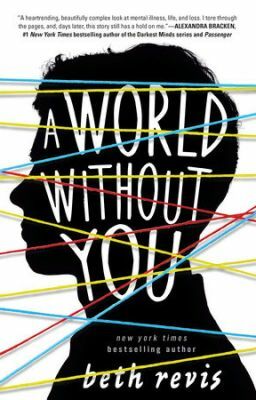 After the unexpected loss of his girlfriend, a teenage boy suffering from delusions is convinced that he can travel through time to save her, in this gripping new novel from New York Times bestselling author Beth Revis. Seventeen-year-old Bo has always had delusions that he can travel through time. When he was ten, Bo claimed to have witnessed the Titanic hit an iceberg, and at fifteen, he found himself on a Civil War battlefield, horrified by the bodies surrounding him. So when his concerned parents send him to a school for troubled youth, Bo assumes he knows the truth: that he's actually attending Berkshire Academy, a school for kids who, like Bo, have "superpowers." At Berkshire, Bo falls in love with Sofia, a quiet girl with a tragic past and the superpower of invisibility. Sofia helps Bo open up in a way he never has before. In turn, Bo provides comfort to Sofia, who lost her mother and two sisters at a very young age. But even the strength of their love isn't enough to help Sofia escape her deep depression. After she commits suicide, Bo is convinced that she's not actually dead. He believes that she's stuck somewhere in time - that he somehow left her in the past, and now it's his job to save her. Not since Ned Vizzini's It's Kind of a Funny Story has there been such a heartrending depiction of mental illness. In her first contemporary novel, Beth Revis guides readers through the mind of a young man struggling to process his grief as he fights his way through his delusions. As Bo becomes more and more determined to save Sofia, he has to decide whether to face his demons head-on, or succumb to a psychosis that will let him be with the girl he loves.